Oftentimes identified as Emirates or simply UAE – this prolific country is truly a place to visit. United Emirates does not only offer world class and luxurious hotels, but the country also showcases various natural beauties. Emirates is undeniably one of the wealthiest countries in the world, ranked as the seventh largest oil reserve in the world and 17th largest natural gas reserve in the world. One of the seven emirates that make up the United Arab Emirates, Dubai is the most densely inhabited city in the country. This destination is well-known for its skyscrapers and architecturally extravagant high rise buildings. Aside from wandering around the city streets of Dubai, shopping is one of the top reasons in visiting this destination. The capital of the emirate of Sharjah, this destination is the third largest city in the country. Officially acclaimed by the World Health Organization as a healthy city, no alcohol is served in any of Sharjah’s hotels, resorts and restaurants. Although crowded by different pedestrians that causes traffic jams, sights and wonders are best discovered by decent city walks. Al Ain is literally known as The Spring or commonly known as the Garden City in the Emirate of Abu Dhabi. Al Ain, which is the second largest city in Abu Dhabi and fourth in the United Arab Emirates, is a perfect get away from the boisterous cities of Dubai and Abu Dhabi as picturesque greenery and land forms are what await Al Ain’s visitors. Famously acknowledged as RAK, Ras Al-Kaimah is a paradise for adventurous nomads. With unpredicted variety of scenery, Ras Al Kaimah caters beaches and deserts, mountains and hot springs and other wonders of nature. Located in the northern part of United Arab Emirates, this destination is bordered by Oman’s exclave of Musandam. Capital of the one of the seven emirates that comprises the United Arab Emirates. Ajman is known for its hotels, shopping centers and museums. Rapid emersion of tourism in this destination is unforeseen because Ajman is the smallest of all the emirates. Sparsely crowded emirate among the seven, Umm Al-Quwain is a charming form of nature which is surrounded by spectacular islands. This destination in the United Arab Emirates is rich in historic heritages and mostly filled with fascinating water forms. 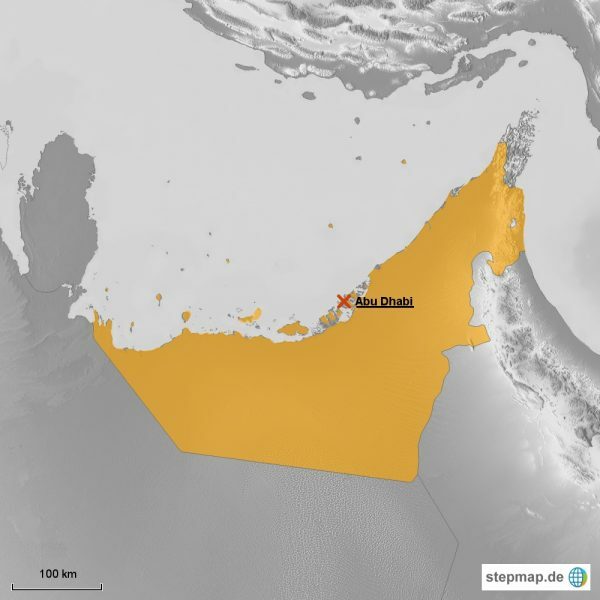 Umm Al-Quwain is completely the opposite of the luxurious city of Dubai. Considered as one of the most modern cities in the world, Abu Dhabi is the second most populous city in the United Arab Emirates next to Dubai. This destination is also the largest among the seven emirates. Abu Dhabi is undeniably a world class city that travelers should not miss. This destination showcases variety of world records from infrastructures to arts and architectures. The only emirate which has a coastline running entirely on the Gulf of Oman, Fujairah is the fastest gateway to Dubai. This destination has a rich history which can be found on its reinstated fort and on the town’s museum. Fujairah City is the emirate’s center for business and opportunities. Standing from an artificial island in Jumeirah, Burj Al Arab is the third tallest hotel in the world. This world class structure is designed to imitate the sail of the ship. Burj Al Arab has its own helipad and luxurious Rolls Royce limousines driving around the hotel. Burj Khalifa is the world’s tallest building standing seven times higher than the height of London’s Big Ben. Burj Khalifa is not only the tallest building, but it also has the highest observation platforms in the world. This destination can be considered as one of the most visited and photographed structures in Dubai and in the whole of United Arab Emirates.